January | 2008 | NICE! Nice way of showcasing short films and installations. 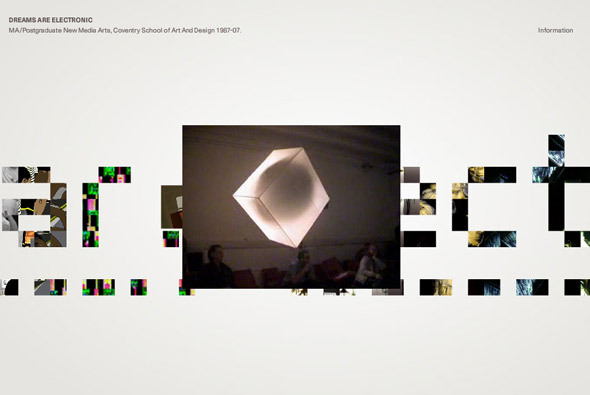 Showing 20 works from the last 20 years of Coventry School of Art and Design’s New Media Arts MA. Using Papervision 3D to allow the use to explore the material in an interesting way. Effective and fun site. Pretty nice portfolio website of Switch Mediaworks. I’ve included this due to the amount of innovative rollovers and basic interactions that have been re-thought – its refreshing to see conventions of user interactions have been questioned. Nice slick animations and transitions. 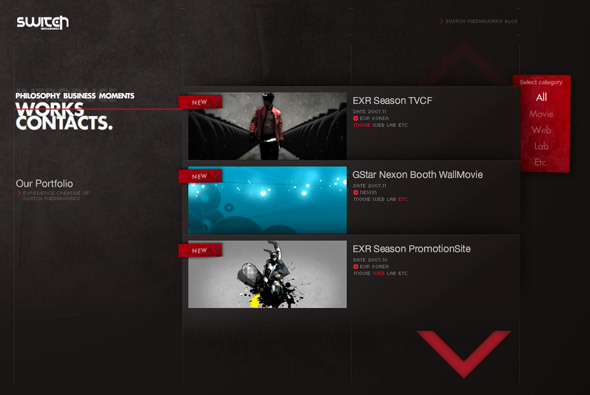 Particularly like the way rollovers are highlighted and the videos are introduced. Website of a design & innovation consultancy. Slick 3D navigation interface, and lots of nice touches. In particular the way you navigate images and drill down into the various sections. 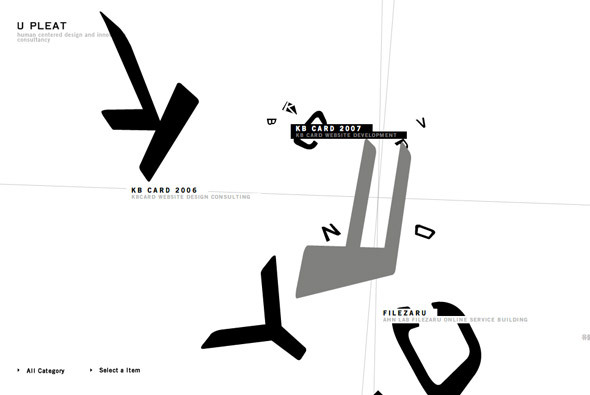 Text appears in a unique way with lots of movement and nice attention to detail.